Epilepsy is a term used to describe a group of related disorders that are characterized by a tendency to have recurrent seizures. There are different types of epilepsy along with seizures. Epilepsy drugs are used for controlling seizures, but surgery is rarely necessary only if medications are not effective. The disorder involves the electrical system of the brain. Abnormal electrical impulses lead to brief variations in movement, sensation, awareness, and behavior. Although many forms of repetitive behavior may indicate an neurological problem, the healthcare provider needs to determine if they are seizures or not. This involves all areas of the brain, and it is often referred to as grand mal seizures. The person experiencing this kind of seizure may make sounds (like crying out), stiffen for a few seconds to a minute, and the rhythmic movements of the arms and legs may occur. In most cases, the rhythmic movements will slow down before it completely ceases. The eyes are open during this type of seizure, but the person can also stop breathing and turn blue. The return to consciousness is gradual, and the person may become confused for some time from minutes to hours. Loss of urine is common, and the person will frequently become confused after this kind of seizure. This type of seizure only involves one part of the brain thus only a part of the body is affected. The symptoms may vary depending on the area of the brain with abnormal electrical activity. For instance, if the part of the brain that controls the movement of the legs is involved, only the legs may show rhythmic or jerky movements. Sometimes, the person who suffers from a partial seizure may appear confused or dazed which may represent a complex partial seizure. These usually occur during childhood. It involves the impairment of consciousness wherein the person often stares blankly. Repetitive blinking or other small movements can also occur. Typically, these seizures only last a few seconds. Some people may have several of these throughout the day. Genetics – Having a parent or sibling with epilepsy increase risk for developing it. Head Trauma – Serious head injuries can cause the development of epilepsy even years after the injury. Infection – Having certain infections like meningitis, AIDS and encephalitis can increase risk of epilepsy. Medical Conditions – There are medical conditions that can increase risk of epilepsy including stroke, brain tumors, Alzheimer’s disease and those that cause problems in the blood vessels of the brain. Problems during pregnancy, birth or early development – this includes infections, problems during birth, congenital defects and injury to an infant’s brain. Related Nootropic Supplement: Nervestra Review: How Safe And Effective Is This Product? 1. Idiopathic Generalized Epilepsy – In this type of epilepsy, there is usually a family history of epilepsy. It tends to appear during childhood or adolescence, but it can be diagnosed only during adulthood. There are no nervous system abnormalities other than seizures in this type of epilepsy. The types of seizures that affect people with idiopathic generalized epilepsy are myoclonic seizures, absence seizures, and generalized tonic-clonic seizures. It is treated with medications, and some people outgrow it. 2. Idiopathic Partial Epilepsy – This begins in childhood between the ages 5 and 8 and can be a part of a family history. It is also known as benign focal epilepsy of childhood (BFEC) which is one of the mildest types of epilepsy. It is never diagnosed in adults and is typically outgrown by puberty. The seizures typically occur during sleep and are usually simple partial motor seizures involving the face and generalized seizures. 3. Symptomatic Generalized Epilepsy – This is due to widespread brain damage. The most common cause is an injury during birth. Aside from seizures, the patients usually have other neurological problems like mental retardation or cerebral palsy. Multiple types of seizures are common in patients with this type of epilepsy, and it is usually difficult to control even with medication. 4. Symptomatic Partial Epilepsy – Also called focal epilepsy, it is the most common type of epilepsy. It begins in adulthood but can also occur in children. It is caused by a localized abnormality in the brain which can be due to tumors, strokes, trauma, congenital brain abnormality, scarring of brain tissue, infections or cysts. Sometimes, the brain abnormalities can be seen on an MRI scan but it often cannot be identified. It can be successfully treated with surgery which aims to remove the affected area of the brain without affecting the rest of the brain’s function. Most epileptic seizures can be controlled with anticonvulsant medication. The type of treatment depends on several factors including severity and frequency of seizures. The age, overall health and medical history of the patient are also considered. Of course, an accurate diagnosis of the specific type of epilepsy is very important when it comes to choosing the best treatment. The medications for treating epilepsy may include phenytek, phenobarbital, carbatrol, mysoline, zarontin, depakene, valium, klonopin, aptiom, felbatol, fly copa, keppra, lyrica, Neurontin, and gabitril. The choice of drug depends on factors like the other illnesses of the patient, tolerance of side effects and other medications being taken. Medications can control seizures in about 70% of patients. Surgery is an option for certain cases of epilepsy but it is seldom used, and there are only about 3,000 epilepsy surgeries in the US every year. 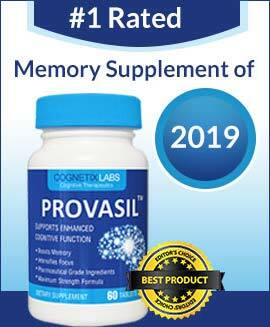 You may also try Advanced IQ brain enhancement supplement to protect your brain cells from damages. Replacing glass – Use safety glass or plastic indoors and windows below waist level to prevent falling through the glass and suffering from a severe cut. Avoid taking baths – There is a much higher risk of drowning in a bathtub for people who experience seizures. Avoid using electrical appliances near water – In case of a seizure, this will prevent electrocution. Do not lock interior doors – Other family members will have a difficult time getting to you in case of a seizure behind a locked door. Be careful with hot items – Avoid carrying pots or other hot items which can cause burns in case of a seizure. If you are searching for some brain pills, then Noocube is an excellent option take a note of reviews available on the web and evaluate does Noocube really work or not. Mathern, GW; Moshé, SL; Perucca, E; Scheffer, IE; Tomson, T; Watanabe, M; Wiebe, S . "ILAE Official Report: A practical clinical definition of epilepsy". Epilepsia 55 : 475–82. doi:10.1111/epi.12550. PMID 24730690.